The Slam on Friday – One of the most fun and inspirational green building events of the year! Learn about 10 innovative, sustainable, high-performance “green” buildings that push the envelope in our built environment. 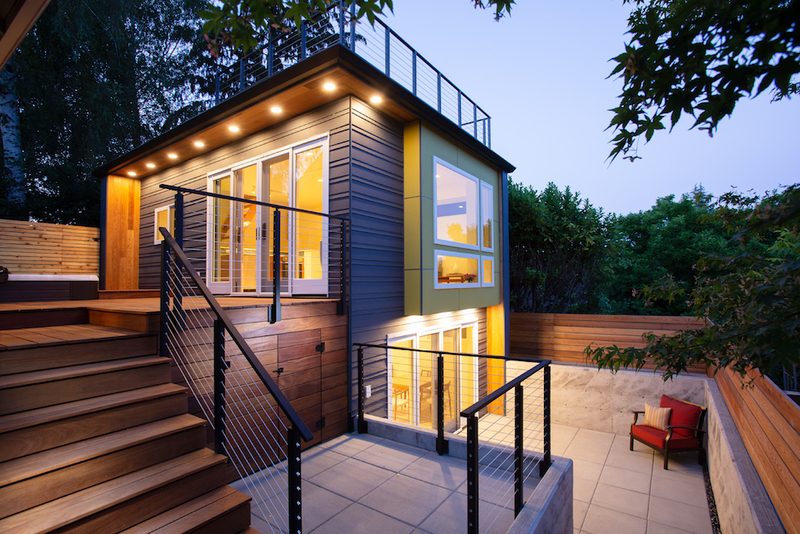 Projects range from residential to multi-family to mixed use developments in the Seattle area. The Summit on Saturday – A day of sharing, chatting, toasting and note-taking. An opportunity to step outside your daily routine, get inspired by our fantastic speakers, and connect with sustainable building professionals from the Pacific Northwest and beyond. We’re looking forward to learning from one another, sharing best practices, and re-energizing our vision to drive the green building movement forward. This family had two tweens that needed their own bedrooms, and a home-based furniture business involving a lot of bulky inventory. They desperately needed more space! The team soon realized that a DADU would meet all their needs. This would allow the clients to reclaim a converted bedroom and give each tween their own space, while creating a multi-functional building they can utilize for decades to come.